Do you want to throw a rockin’ New Years Eve Party but don’t have a lot to spend? No worries! You don’t have to sit on the couch in your PJs and fuzzy slippers and count down to New Year with Ryan Seacrest — unless of course you want to! If you want to have people over are ready to celebrate, then I have some good news for you. I have searched the web to find some fabulous and frugal ideas that can help you throw a memorable New Years Eve Party! You can get much more frugal than free, am I right? I have found a few free invitation options that you can use to let your guests know that they are invited to the party of the year — or at least in for a fun night with friends. One of my favorite invitation websites in Evite. There several attractive choices for New Years Eve invitations and the best part is they are free! No need to buy invitations, pay postage or hunt down your guests for RSVPs. It can all be done on the Evite website. Easy peasy!!! 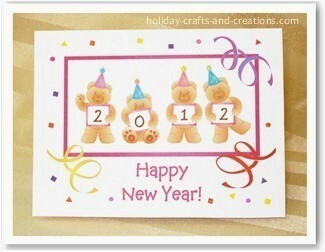 I also found several free printable cards at the Holiday Crafts and Creations website. These can be printed on fancy or festive paper for a fraction of the price it might cost to buy invites. I wasn’t able to put the photo up – probably because of copyright restrictions – but you simply MUST trust me when I say these invitations are fabulous!!! 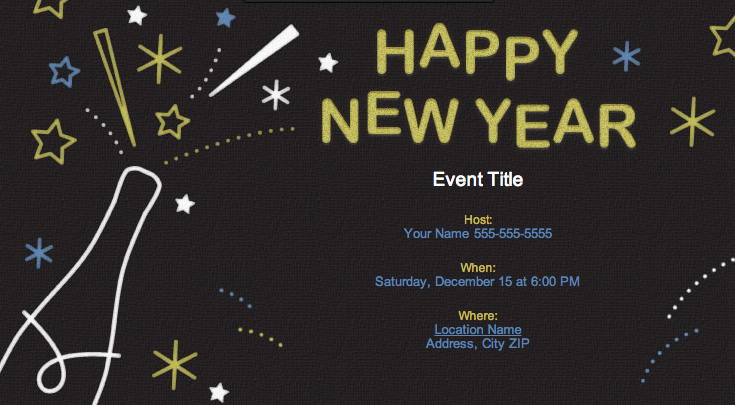 Head on over to the Perpetual Party Planner Blog and check out the post on DIY New Year’s Eve Invites. 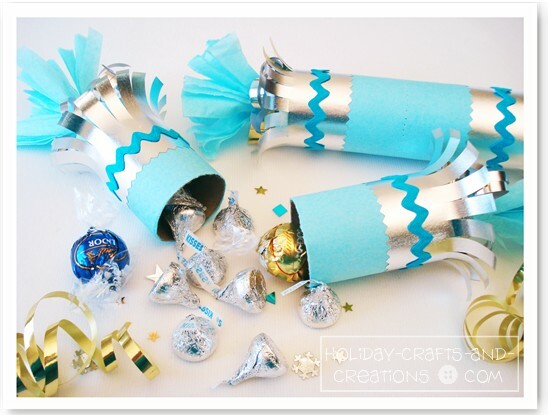 You can put those empty wrapping paper tubes from Christmas to good use with this craft I found on Holiday Crafts and Creations. Just click on the photo above to visit their site and see the simple step-by-step instructions. Use your imagination and creativity to really have fun with these poppers. You can always ask guest to bring their favorite finger food, dessert and/or their own drinks. If you have been couponing then you have probably built up quite a stockpile of goodies. If so, now is the time to tap into that treasure and put on a grand spread for your guests — all for a fraction of the price. Even if you don’t have a well stocked pantry you can still find a lot of great deals and use coupons to save money. Frugal and fabulous!!! One of my very favorite recipe websites is Allrecipes.com. You are sure to find a lot of delicious recipes. 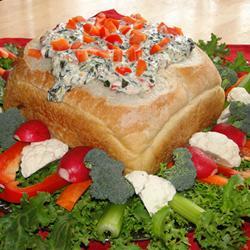 They have all kinds of recipes for appetizers, dinners, desserts, and even drinks. Check it out and get creative!!! Whatever you decide to do, be sure to have fun, be fabulous, stay safe and please do NOT drink and drive! 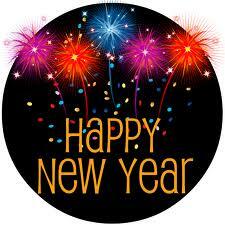 Do you have any frugal tips for celebrating New Year’s Eve?